During the weekly F-troop there are mentions of software, websites and solutions that are worth taking note of. This website attempts to document them. During the 'net this week we discussed several means of getting antenna wire into a tree. Arborists regularly need to install a climbing rope in a tree, and there has been specialised tools built to make it easier. On the cheaper end is throwbags and throwline. The weighted bags dont bounce off limbs as easily as solid weights, and are shaped to pass through foilage easier. The throwline is a thin strong line that flows out easily and slides easily over rough bark. Most arborists have 3-4 lines and weights to use together to select individual branches for their climbing line. The Big Shot slingshot is available here in perth (Stihl Shop in Osbourne park) but im not sure how legal it is. There is also a couple of companies making special fishing rigs for the DJI phantom - that allows you to drag a fishing line out, then drop it where needed - this may be more useful so you dont get the line caught up in the drone. https://www.climbingarborist.com/basic-climbing-techniques/ might be helpful too. Thanks to the participants of the net this week for their various suggestions. 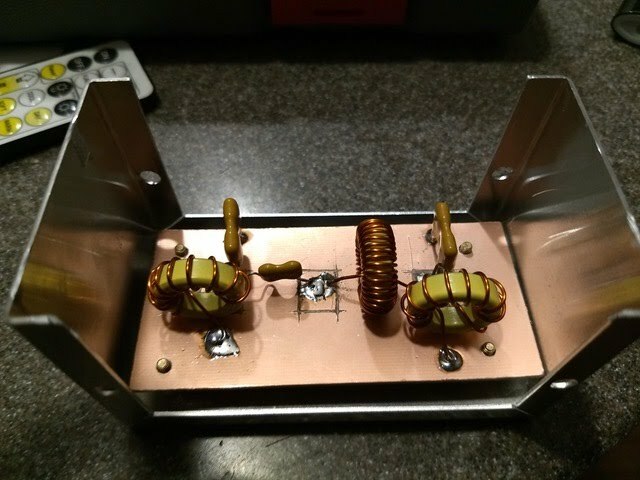 John VK6JB reports that he's built his first Linear Amplifier with great success. He comments that it's probaby a good kit for an intermediate builder. One day, I will run out of money, time, or brains. One day. Last week’s project: to get the displays sorted on the 40-30-20 meter Hilltopper radios. I learned a little more about Arduino programming. But only a little. 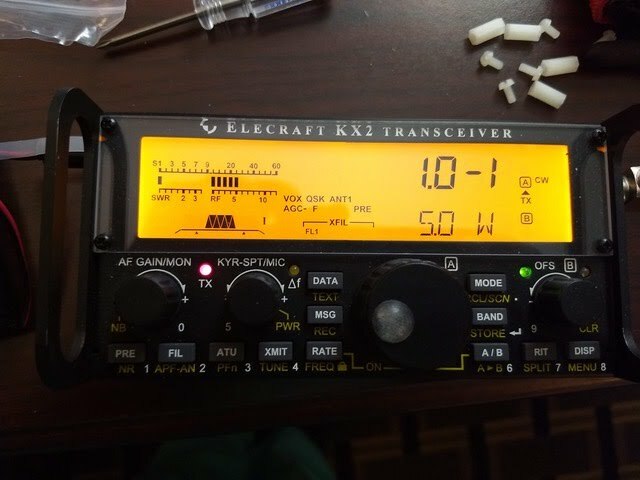 Now I need to figure out what sort of connector I can use to make the display optional, and create an outboard case for the display. 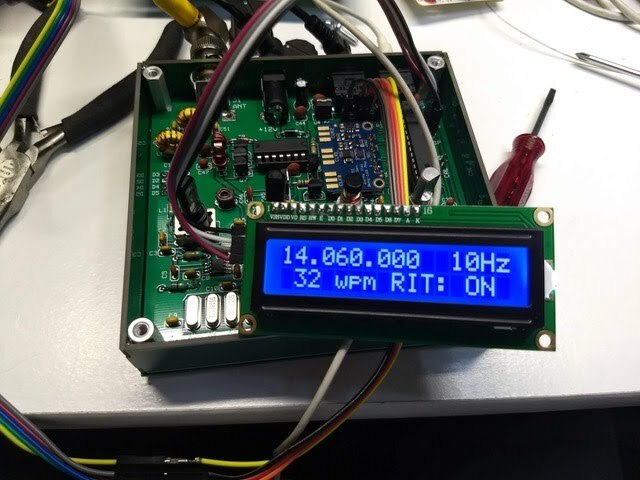 That adds flexibility to the radio for portable ops w/ w/o display. 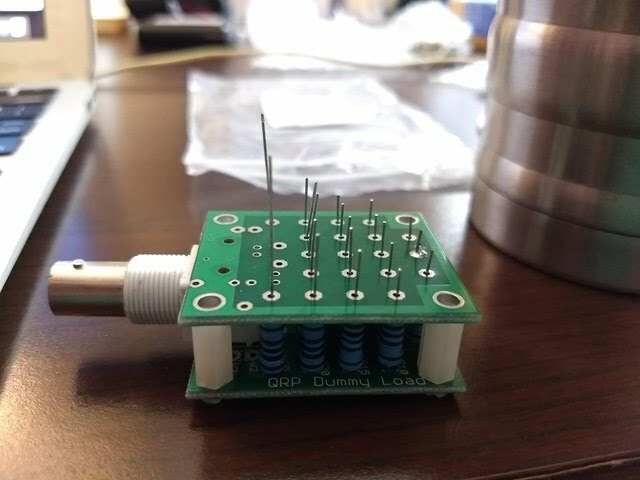 Today’s project: 20 watt dummy load from QRP labs. Post any, all, or none. Display for the Hilltopper-40 with a few added features. Hilltopper 30 with display and programming cable attached. 20 meter Hilltopper with display and progamming cable. 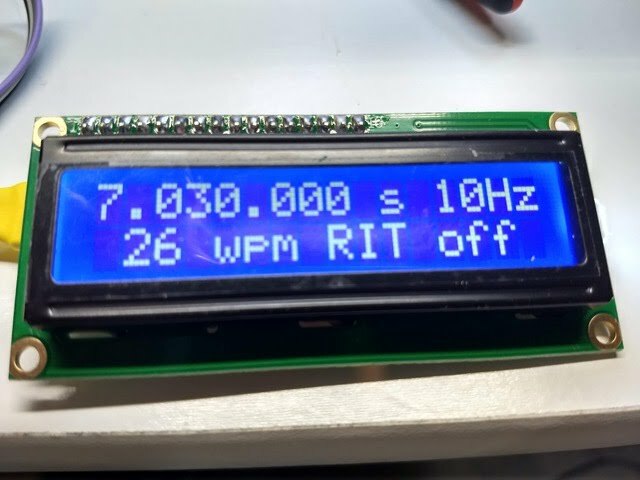 And showing that it works as advertised with a 1:1 SWR, showing a 50 ohm load. Four State QRP Hilltopper 20, modified for 30 meters, display added. Custom offset at 600 Hz instead of 800 Hz. Several other code additions, including tuning steps of 500 Hz, 100 Hz, and 10 Hz. Tones notify which step, 3 dits = 500 Hz, 2 = 100 Hz, one = 10 Hz. Still need to devise a case for this chimera. 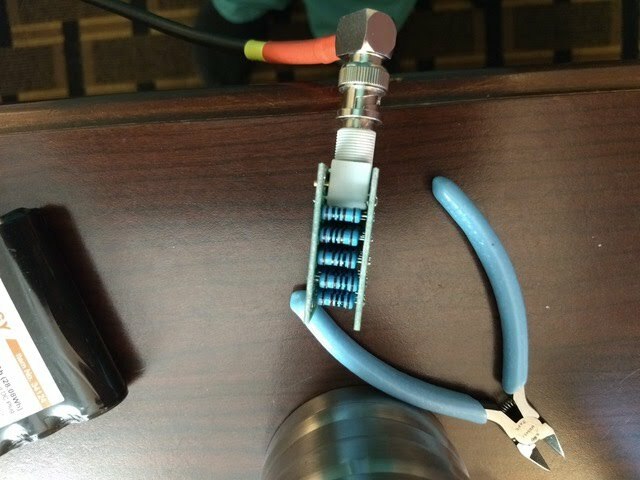 40 meter bandpass filter, first of several. Needs connectors and testing for bandpass edges, in-band and out-of-band attenuation. 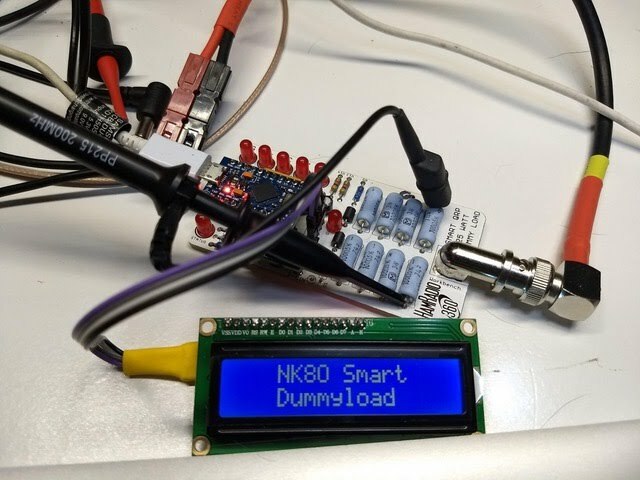 HamRadio Workbench Dummy Load, with modified code. Resistors sufficient for 20 watts, briefly. 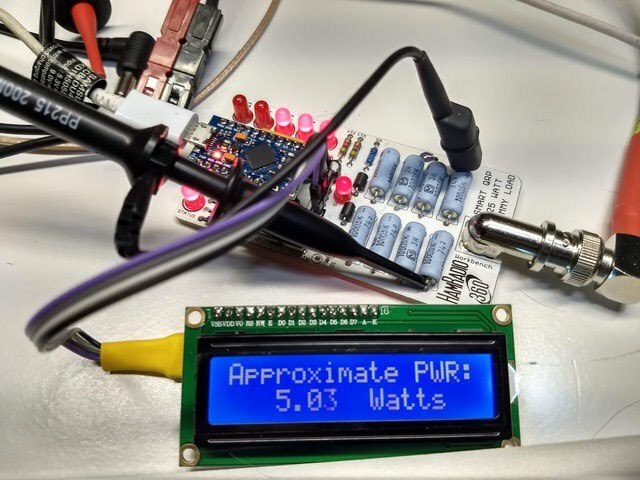 Scope was connected to plot actual PEP voltage against ADC output. 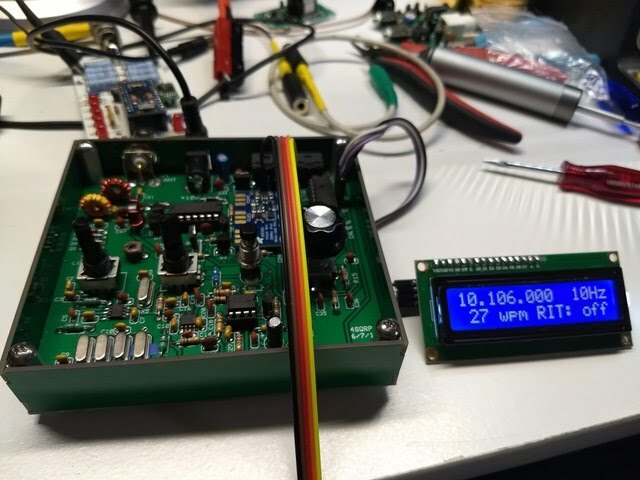 Diode output and ADC in the Arduino are far from linear. 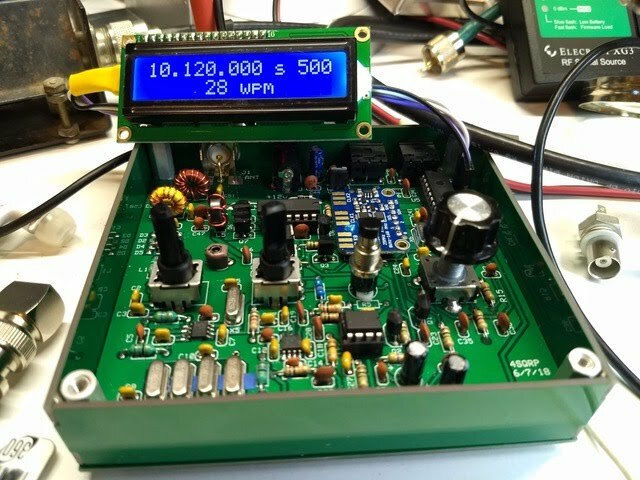 This is correct at about 5 watts but not so much at 1 watt or 10 watts. Maybe a look-up table would be a better solution?